The Liver Transplant Program at Shands Hospital at the University of Florida has more than twenty-two years of experience providing excellent care to patients with the most complex liver disease in the state of Florida. Under the leadership of Dr. Jeffery Fair, Professor and Chief of Transplant Surgery, the liver transplant program is actively evaluating patients, adding patients to the wait list, and performing transplants. 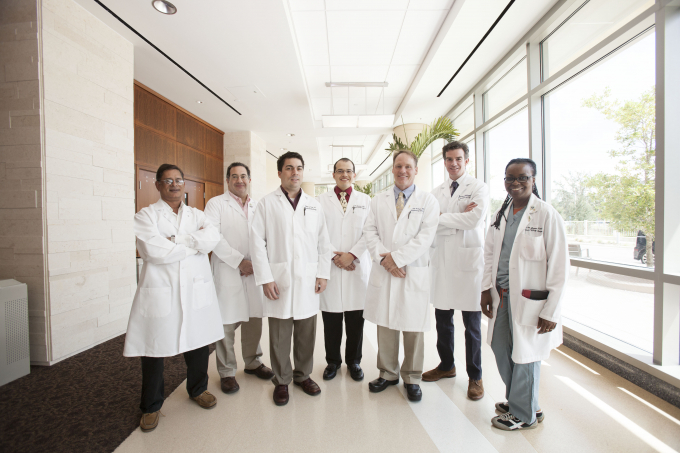 Dr. Ken Andreoni and Dr. Brendan Boland joined Dr. Fair and Dr. Ivan Zendejas in August 2012. Dr. Roberto J. Firpi, and our multidisciplinary team of physicians, nurse coordinators, social workers and pharmacists provide lifelong compassionate care to our patients. You can call (352) 265-0754 with any questions or fax information to (352) 733-4179 if you would like to make a referral to the liver transplant program.